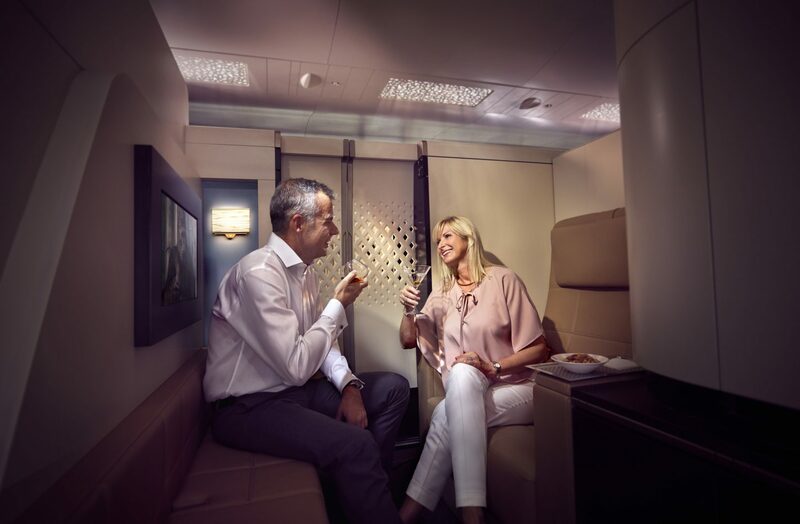 Etihad Airways have just ticked over 15 years since launching and are hitting the mark for business flyers as much as they do for luxury travellers and families. 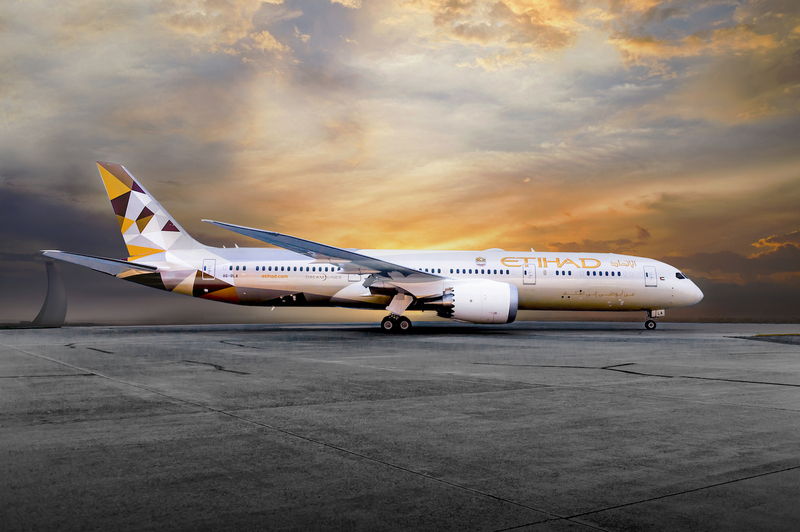 Why is Etihad continuing to thrive in the airways? We find 8 great reasons that help explain why the national carrier of the United Arab Emirates has become such a smooth mover in the airline game. The House, The Residence, Economy Space, the Flying Nanny… you name it, Etihad is flying high with a diverse range of choices and appeal. The inspiration behind Etihad’s new brand campaign ‘Choose Well’ comes from the game-changing hard work of the late Sheikh Zayed bin Sultan Al Nahyan, the founding father of the United Arab Emirates, and the choices he made to inspire his people and effectively build a nation. Choose Well spotlights the decision-making power of Etihad’s customers, “an invitation for all flyers to make choices about how they travel and to journey on their own terms”, and aligns perfectly with another catch-cry, “Abu Dhabi to the world”. The airline has taken great strides in a short space of time and offers great product and services across Economy, Business and First, from the clever benefits of the new “Economy Space” concept (see below) to “The Residence”, an in-flight luxury experience like no other (see below). As part of the campaign, Etihad shines a light on its own staff, including Shaima Rashed, one of the UAE’s first Airbus A380 female pilots, who always dreamed of wearing the golden stripes. She’s now living her dream and flies the airline’s flagship aircraft. Etihad Airways is the national flag carrier of the United Arab Emirates. There’s a new hero in the air – the Flying Nanny. 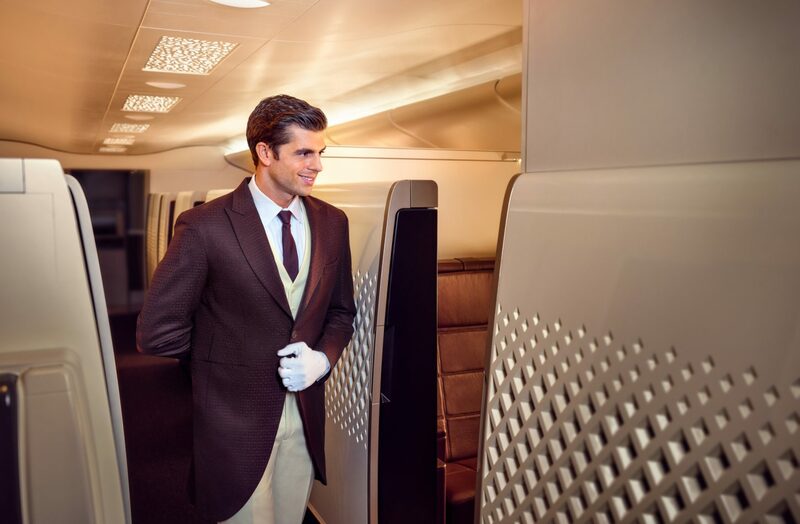 Those travelling with children should know Etihad has gone to extra lengths to make sure it’s a pleasant experience rather than a challenging one. They now have it covered with an in-flight Flying Nanny service offering an extra pair of hands on long-haul flights and is exceptional. 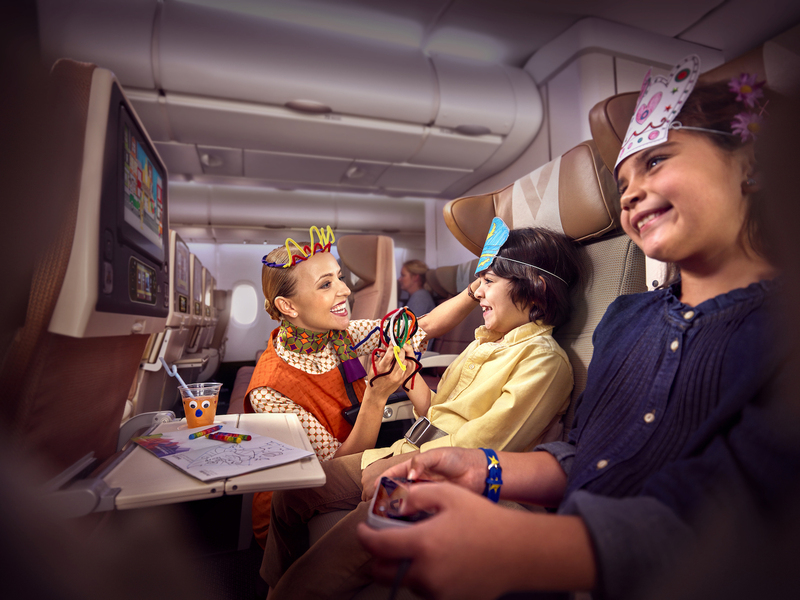 Specially trained flight attendants keep the little ones engaged and entertained with games, magic tricks, banter and crafts. Children’s meals and baby food are also available, along with bottle warming, activity packs and child-friendly in-flight entertainment. 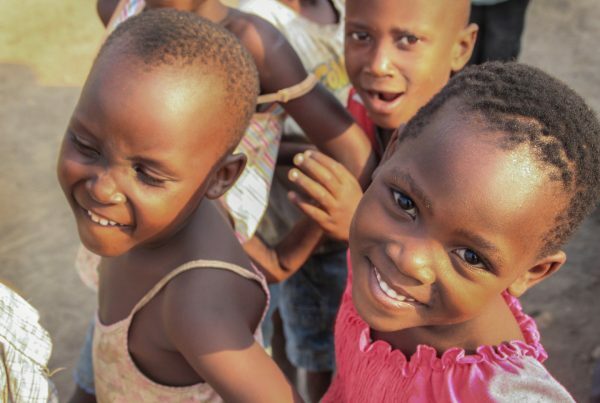 Even the kids are now in it for the ride, let alone the travel destination! Sydney and Melbourne airports are some of the new kids on the block with the rollout of new lounge brand The House, launched in October by the airline in partnership with No1 Lounges. 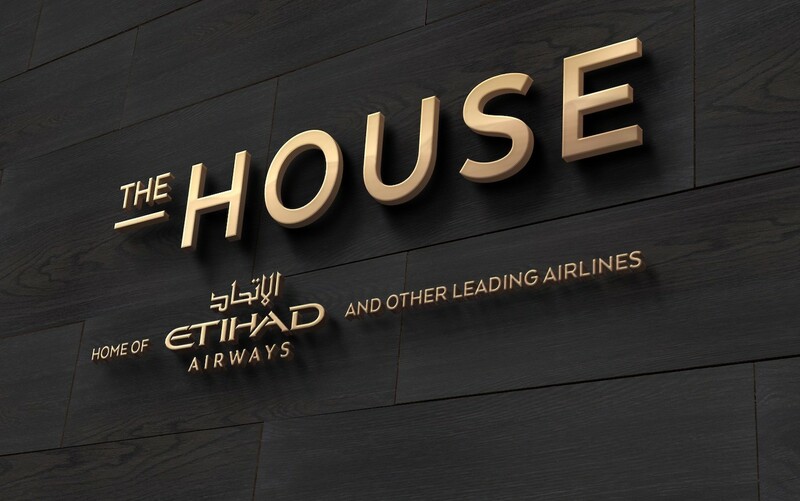 The House represents the needs of Etihad’s premium customers through three core pillars: “simplicity with sophistication, privacy with attentiveness; and tranquillity with engagement.” The kitchens and bars have serious variety, with a focus on wellbeing and local produce. All dishes are freshly prepared and there’s self-service and a la carte menus in the upgraded dining areas. To quench your thirst, the bars have a comprehensive cocktail and mocktail list to add to the selection of great Australian wines. Over the next year, both lounges will be refurbished including the introduction of new reading rooms. The House in Sydney will have a new private room for VIP guests, such as those travelling in the Residence. The House is definitely one you’ll want to call home, even if it is temporary. 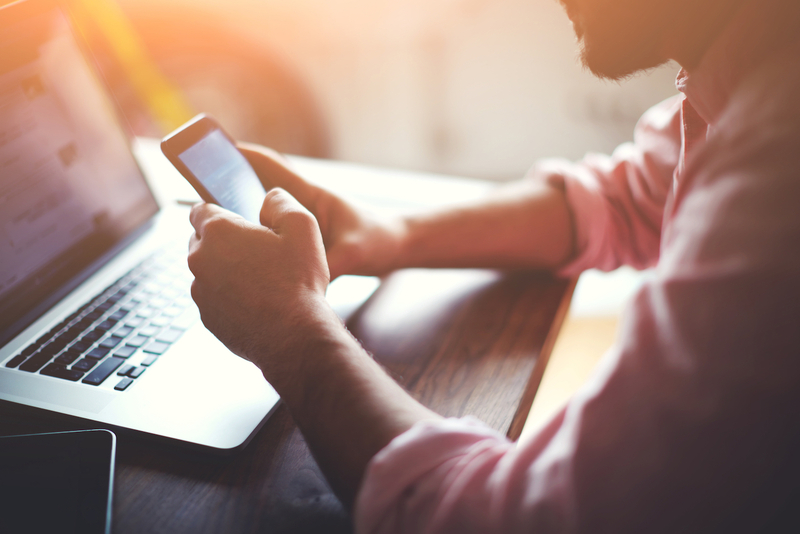 Every great airline these days is equipped with an efficient smartphone app, and Etihad Airways’ easy-to-navigate application, on both iPhone and Android, lets you plan your travel on the go, and check-in for flights from 48 hours before departure (and up to three hours before take-off). Simply download your mobile boarding pass, use the live tracker to check your flight’s status and find out which belt your baggage is on when you land at Abu Dhabi International Airport, and even buy additional baggage allowance on the fly. Riding on the wave of choosing well and doing things your way, Etihad is big on customers customising their flying experience. If Business or First is beyond your reach, for a small fee you can upgrade to a new Economy Space seat with increased legroom. 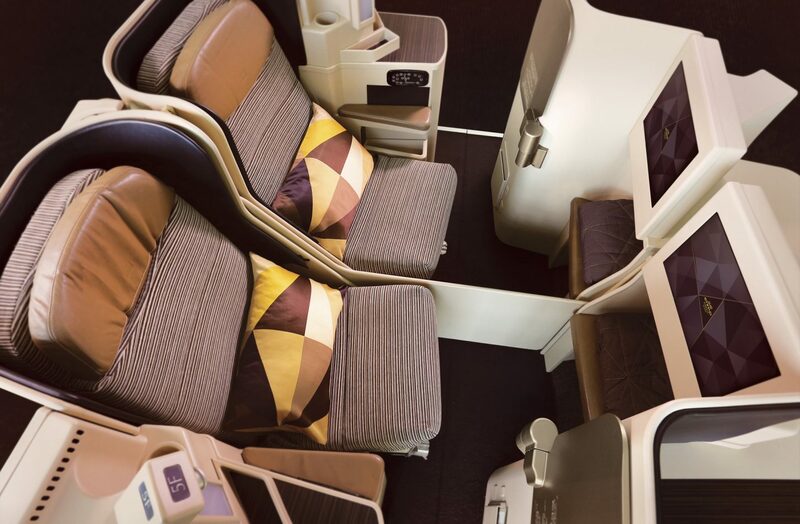 Economy Space, a new seating option, has arrived after Etihad Airways retrofitted its 10 Airbus A380s with an increased seat pitch of up to 36 inches. 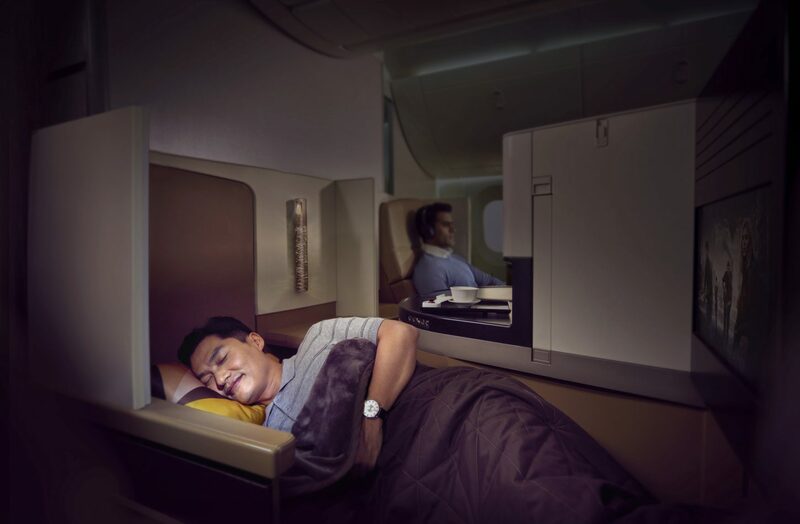 In addition to modifying its A380s, Etihad Airways will have additional Economy Space seats added to 12 Boeing 777s and 21 Boeing 787 Dreamliners by the end of the year (2019), increasing the number of extra legroom seats by a whopping 560 per cent. This means business travellers, families with small children, elderly travellers and those requiring wheelchair assistance can now purchase and benefit from the extra available room available in Economy Space, which also complements Etihad Airways’ ‘neighbour-free’ seating option and a range of ‘buy-on-board’ products. 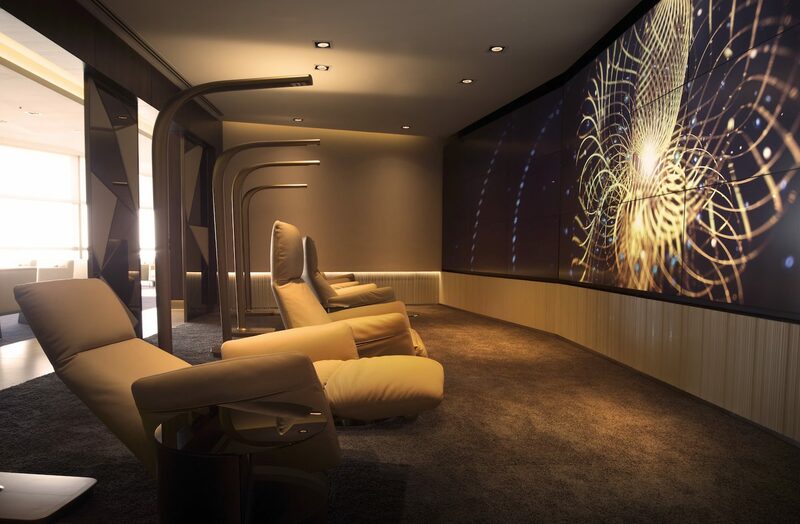 Etihad Airways opened its new flagship First Class Lounge & Spa at Abu Dhabi International Airport’s Terminal 3 in 2016 and the spectacular new space is an exclusive lifestyle environment and a showpiece of design, style and comfort, world class dining, and bespoke beauty and relaxation services. It features 16 zones beautifully designed for guests to relax, re-energise and be entertained in total luxury before boarding their flight. Within the lounge is an à la carte restaurant, showcase bar, fitness room, cigar lounge, Six Senses Spa, TV room, secluded relaxation room, prayer room and children’s play room ensure that all guests receive a highly personalised experience and intuitive service. It’s open round-the-clock for the exclusive use of guests flying in The Residence and First Class. Guests of The Residence enjoy the exclusivity of their own private space with a dedicated butler, custom-made Poltrona Frau Italian leather armchairs and sofas, its own shower room with a range of Acqua di Parma products, a prayer room, and private dining. Food and beverages, of course, are on a whole other level of excellence. 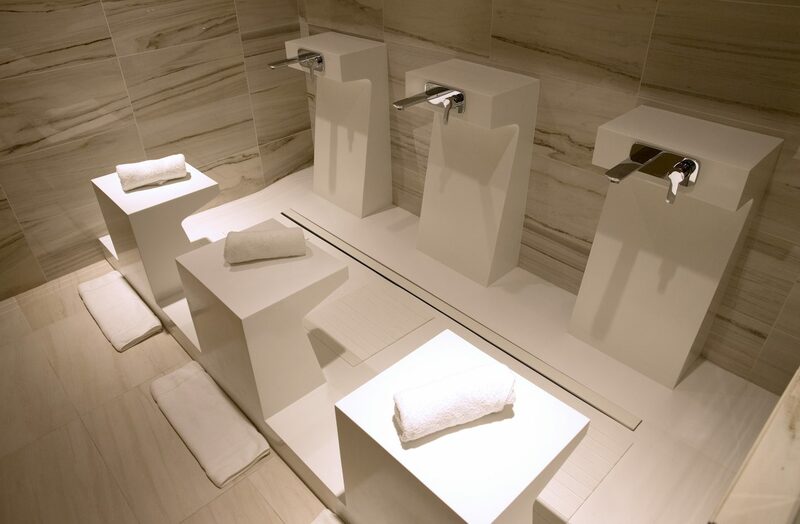 The Six Senses Spa comprises six treatment rooms with shower facilities. First Class guests can enjoy a complementary treatment, while guests in The Residence are offered two comp treatments. 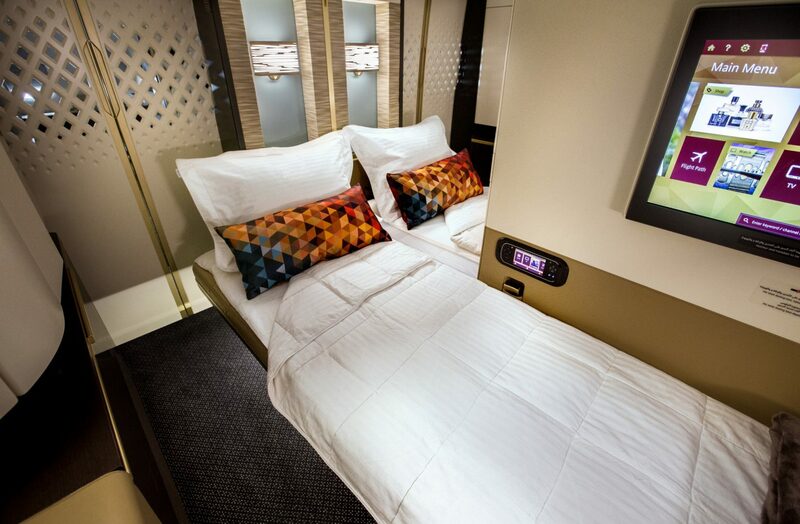 Anyone who has experienced the latest Business Studios on Etihad’s A380s and 787s know only too well the bonus of the extra personal space (20% more) in Business Class, offering a luxurious standard usually found in first class travel. Business Studio is set in a 1-2-1 forward and aft ‘dovetail’ configuration, and all have aisle access while the seat converts into a fully flat bed of up to 80.5 inches long. It’s an inflight experience where you can work, rest, and play in the truest sense of the expression. Fresh bistro-inspired menus and fine Champagne and wines come with the ticket. 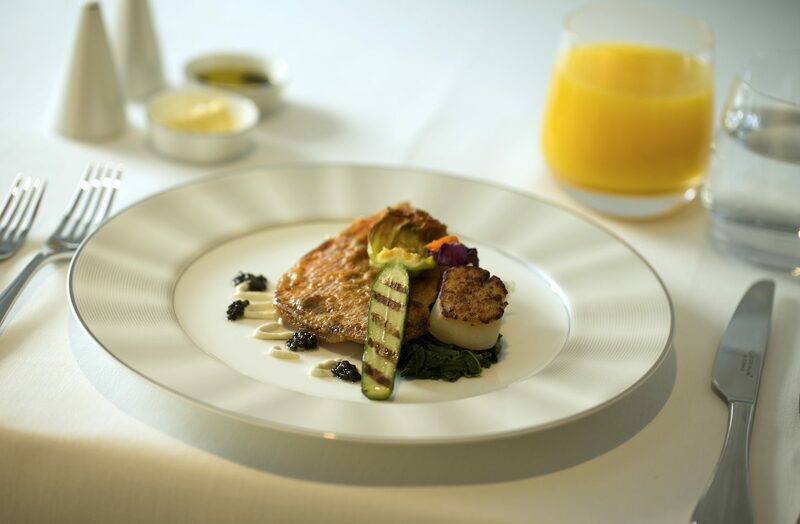 Stylish trays, chinaware, and tall stemmed wine glasses add to the sense of sophistication and flair while top notch food and beverage managers are on hand to share their culinary knowledge for a superior dining experience. A beautiful range of Business Class Aqua Di Parma amenity kits available through The Residence to Business Class cabins. 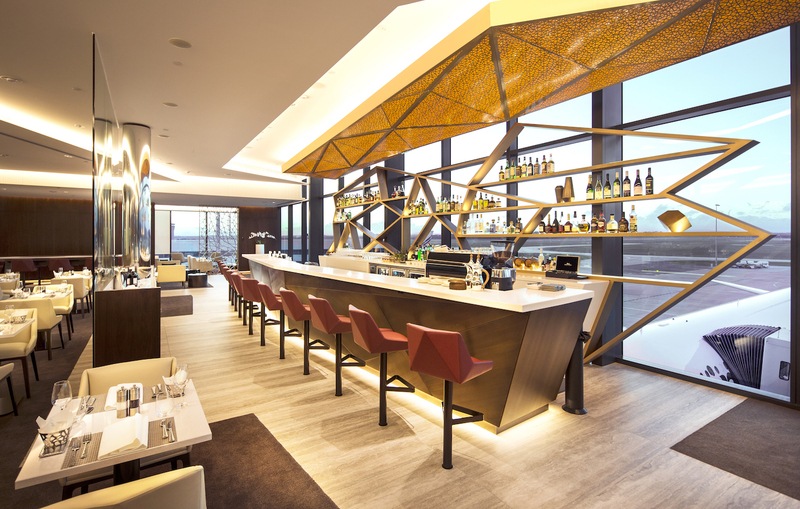 On the A380, First and Business Class guests get to chill and socialise in The Lobby, which is a serviced lounge and bar area on the upper deck between the First and Business cabins. Kick back on Poltrona Frau leather-upholstered sofas, order refreshments from the bar, watch sport or news on the 32in TV with USB connection, or even hold a meeting. The rein in Spain! Etihad Airways lets loose a Boeing 787-9 Dreamliner on its scheduled services from Abu Dhabi to Barcelona later this month, providing seamless connectivity for Australian travellers on Etihad’s flagship A380 and 787 aircraft out of Sydney, Melbourne and Brisbane. The deployment of the larger 787 Dreamliner to Barcelona, replacing the Airbus A330-200 currently operating the recently launched route, has been timed to coincide with the Mobile World Conference taking place in the city from February 25-28, during which Etihad Airways will provide daily flights. The airline will increase frequency to a permanent daily operation from the end of March. The service will feature Etihad Airways’ next-generation Business and Economy cabins, configured with 299 seats – 28 Business Studios and 271 Economy Smart Seats – a capacity increase of six seats in Business and 31 in Economy in each direction, and an increase in belly-hold cargo capacity of four tonnes.